Mac: If you need to route audio from one Mac to another, say, from a microphone to Skype to Audacity, the go-to tool has long been the often baffling, occasionally unreliable Soundflower. Loopback is a new app that does the same basic thing, but makes it a heck of lot easier to manage. Loopback bills itself as "cable-free audio routing" and that's probably the best way to understand what it does. Loopback works like a big, digital mixing board. You can combine multiple microphones into one audio source, or even link specific apps together as individual audio sources (say a microphone, Skype and iTunes). You can then send that audio through other apps or devices, which makes things such as doing screencasts, video game videos, recording podcasts and live streams a heck of a lot easier. 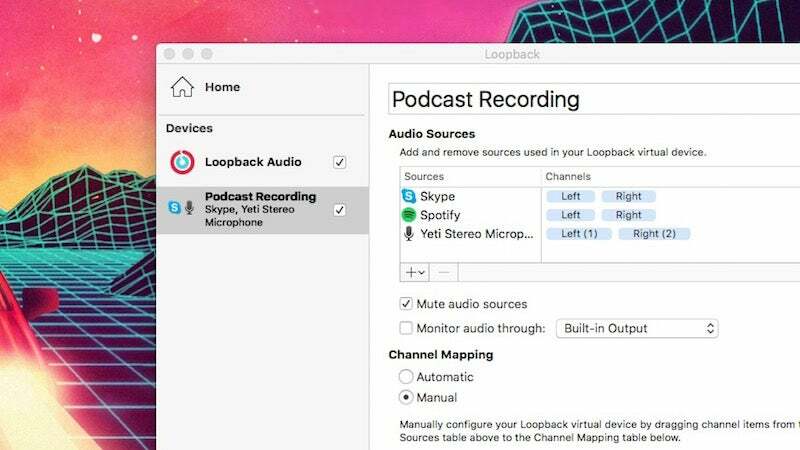 Loopback's a pretty niche app, which probably explains the $US75 ($107) price tag, but a free trial gives you 10 minutes of free recording to see if it works for you. For me, it was a heck of lot easier to set up then Soundflower and I had a pretty good grasp on what I was doing from the get-go. If you do a lot of recording on your Mac, it's worth a look.